Stoned-Campbell Disciple » Blog Archive » Marcionism & Churches of Christ: What Value, REALLY, is the "Old Testament?" #2 :How Did We Get Here? Marcionism & Churches of Christ: What Value, REALLY, is the "Old Testament?" #2 :How Did We Get Here? Marcion had a major impact on the church of the second century and his influence yet resides in Christianity both positively and negatively. Born in Sinope in North East Asia Minor, Marcion was a successful ship owner. He confronted the church with heresy on one hand while the Gnostics did on the other. Marcion moved to Rome around A.D. 140 The church in Rome was not impressed with Marcion’s unique solution to the problem of Jesus and the First Covenant and excommunicated him in 144. Undaunted Marcion promoted his theology with zeal and became a major threat to the existence of Christianity. He died sometime around 160. Marcion was an anti-Semite (which was not uncommon in the Roman Empire).Marcion declared that the God of Israel was not the God of revealed by the Lord Jesus Christ.Being indebted to Gnostic teachings (though Marcion was not a full blown Gnostic) he stated the God of the Hebrews was a Demiurge, an inferior, capricious, vengeful god. Jesus, in his system, was completely separated from his Jewish heritage … especially the Creator God. Marcion believed that the church of his day had destroyed the pure faith of Jesus and Paul (especially Paul). By recognizing the books of the Jews they were mixing the Gospel with Judaism. But the “Jewish God” had nothing to do with “us” or Jesus. Since the New Testament writings (which had not all come together in the form we recognize today in his day) are filled with quotations from the “Jewish” Bible, Marcion declared them to be unfit. Thus the traditional Gospels were rejected except for an edited version of Luke. All the writings of other NT authors were also rejected because they preserved impure understanding of the true nature of the Gospel. Only Paul’s writings and Luke’s Gospel were accepted. These writings were themselves systematically edited to weed out Paul’s own mistaken references to Israel and his quotations from the “Jewish” Bible. Consistent with Marcion’s views that the Demiurge created the world he embraced a rigid asceticism that rejected marriage and sexual intimacy. The world made by the Jewish creator god was not quite “spiritual” enough for Marcion. One can see that Song of Songs would be no more acceptable to Marcion than it was to J.W. McGarvey. The Church rightly condemned Marcion. He was and is a heretic and his doctrine is heresy. Jesus is a Jew. He came to reveal the God of the Jews.The Father of the Lord Jesus is the Creator God of Israel. The Incarnation is God’s greatest complement to the goodness creation. But the Ghost of Marcion lives on in various shades without people explicitly saying the God of the Old Testament is different than the God of the New Testament but that very theology is subtly held by many misguided teachers in the church. The church did more than simply condemn the theology of Marcion. Up until Marcion, and the Gnostic crises, the church had not really made an effort to define the canon of Scripture. There was plenty of tradition for sure but no official canon. One of the legacies of Marcion was the effort of the church to define what truly was her literary treasure. First she affirmed the oneness of God revealed in Israel’s scripture and in the life of Jesus the Messiah. Second she affirmed that canonicity of the Bible, that is the “Old Testament”. The Old Testament is foundational and essential to the Christian faith. While it is true that during those years the extent of the canon as reflected in the Hebrew Bible and the Septuagint was not always as finally nuanced as Protestants either claim or would like, the church embraced its Jewish heritage in the “Scriptures.” Third, the church began the discussion of just what was the canon of the New Testament. Though the full extent of the canon would not be settled for quite sometime after Marcion the major elements of the NT were firmly set in place by the end of the second century (this means the Fourfold Gospel, the epistles of Paul, 1 Peter, 1 John, and Acts … there remained questions about Hebrews, Revelation, Wisdom of Solomon [yes the WoS] in some lists, the Didache, Epistle of Barnabas and even the Epistles of Ignatius …). In our next blog we will look at Alexander Campbell’s “Sermon on the Law” which tapped into a vein already present in historic Christianity that would bear poisonous fruit in generations restoration Christians. P.S. Here is my sermon from last Sunday called “The Coming of a Strange King” from Zechariah 9. I got a little excited and forgot to check the clock … but we got out on time anyway. I do not hold my sermons as models of how to preach from the Hebrew Bible … but just showing that we need to get busy doing it. This entry was posted on Monday, December 10th, 2007 at 6:40 pm	and is filed under Exegesis, Hebrew Bible, Hermeneutics, Ministry, Preaching, Restoration History. You can follow any responses to this entry through the RSS 2.0 feed. You can leave a response, or trackback from your own site. English has been so shaped by this heresy that we have a terrible time understanding the difference between ‘psuchikos’ and ‘pneumatikos’ in 1 Cor 15, and the difference between the shadows and the reality in Hebrews. You can’t swing a cat in the brotherhood without hitting someone who will say that the delineation is between “physical” and “spiritual” in the sense of ephemeral and intangible. Is the water of baptism intangible? Is the Lord’s Supper intangible? Are your brothers and sisters intangible? The new covenant is no less physical than the old. Our new life is no less physical than the old. Keep up the goading thoughts, brother. I pray that you are not preaching against the wind, although you will be in splendid company if you are. A very informative post; thanks! 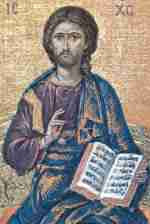 Nick, I would quarrel a bit with the statement: “The new covenant is no less physical than the old. Our new life is no less physical than the old.” To strictly say that one was physical and the other spiritual is wrong. But one could make quite a list of “physical” things from before the cross that are now less tangible, less physical. The temple, sacrifices, circumcision… quite a list could be made. Let’s not react to mistaken ideas by going to the other extreme. Thanks for dropping by and contributing to the discussion. Glad to have you. I think Nick has a point however. We cannot interpret “spirituality” through Platonic dualism. In the new covenant, which is new in degree rather than in kind, we find plenty of physicalness. Baptism is compared to circumcision in the NT (Col 2.11). Israelites also underwent a profound circumcision wrought by God (Deut 30.6). Our “temple” is quite physical too in that it is made up of earthlings … that is human beings. In 1 Cor 3.16-17 the temple is clearly not individuals but the gathering of the People themselves (a great tie in to “OT” theology): ouk oidate hoti naos theou este kai pneuma tou theou oikei en hymin … “do you [plural] not know that you [plural] are God’s temple and that the Spirit of God dwells in you [plural]? The principle here that of God’s presence in the tabernacle sanctifying the camp … it runs throughout the Hebrew Bible (see the renewed promise in Ezk 37.27). Our sacrifice is no less “real” and physical than that of the ancient Israelite. Jesus really did die and really did spill blood and really was the Passover sacrifice (according to John’s Gospel) … this is all very physical, so physical that some reject the idea of a real atonement. There are differences for sure between “Old” and “NT” but they are often blown made into something the “NT” writers themselves do not suggest. I have really enjoyed this series. Good and useful info as usual Bobby. I especially look forward to your follow-up exploration of AC’s most famous sermon. I would go so far as to suggest that the new temple is EVEN MORE tangible than the old temple. For most Jews, the Jerusalem temple was a dream. The true temple was never rebuilt after Babylon. Bobby eloquently defended the physicality of our sacrifice. I would only add that along with the inescapable tangibility of Jesus, our thank offerings are no less tangible today than they were under the old covenant. Thanks for this post. I look forward to reading the subsequent posts related to this topic. You kind of tease another subject that we need to be discussing with the “people in the pews” and that’s the formation of the canon. I think that most people never give a second thought about how the Bible came to be as it is today. They simply think that God just snapped his fingers and it appeared in King James English. But the canon came about not just over a hundred or so years but over a thousand or so years. The canon was not set for a long, long time. I think exploring this topic with our churches can have an impact on how we view scripture as a whole. Again, though, this topic makes some nervous but our people deserve to know the truth that has been withheld from them in the past. About the formation of the NT Canon: I’m not sure that it all soaks in, but my students are intrigued to find out that it was a heretic, a hundred years after the gospel events, who really got the question of canon going. When this question is exlored in a church setting, it’s a little more touchy. Members of the Church of Christ are happy with a doctrine of inspiration, however it might be understood. But the notion that it was a long time before our colletion of 27 was recognized as Scripture, and that is was a sometimes messy process, can be bothersome. I think the unspoken problem is that we haven’t liked the idea that people we wouldn’t have recognized as Christians were deciding about our Bibles. The anti-traditional tradition of the Churches of Christ has all sorts of problems and this is just one of them. I think that preachers in the Churches of Christ have to emphasize at least two ideas in their teaching: (1) the Holy Spirit didn’t stop leaving footprints after the year 100 and (2) God gets to decide about who’s in and out. First, thanks for stopping by my site. I appreciate your comment. Second, I appreciate the study you are currently posting. It is very helpful and we all need reminded of church history on a regular basis. I would like to know more about McGarvey’s feelings about SoS. Where can I read more about it? Mitchell I am delighted to have you reading and commenting. I firmly believe this is a vital subject we are exploring. We too easily dismiss three-fifths of the Canon … something is wrong with that. I quote his thoughts in toto. But the book I quote from is his “Guide to the Bible.” You may need to go to a good library to find a copy. But I think it is online too. Thanks for stirring my interests on this subject. I look forward to reading more. In fact, I did a little reading today on McGarvey and found some interesting stuff. If now a man under the present dispensation wishes to know what to believe in order to be saved, and where to find the evidence on which to rest his faith, he must go, not to Genesis, to Leviticus, to the Psalms, or to the Prophets, where he would learn only Patriarchalism or Judaism, but to the four Gospels which were written that we may believe that Jesus Christ is the Son of God, and that believing we may obtain life through him (John xxi: 20, 21). This is a pretty blatant disregard for the value of the Hebrew Bible. Maybe the NT is a good place for a new Christian to start, but McGarvey goes on to layout the progression of books to study as you mature in your faith. Any guesses which 27 books are included (26 actually as he seems to leave out Revelation) and which 39 books are not? If we really desire to know God we’d better get a grip on the big picture (66 books worth of big picture, plus maybe a few more), otherwise we might miss the forest for the trees. Maybe you could transcribe your sunday sermon and put it on the blog. Thanks for adding to our discussion. I appreciate your perspective. Yet my own personal experience certainly does not correspond with yours. You are most fortunate in that regard. One of my first impressions of the “value” of the Hebrew Bible came when I was 14 or 15 years old. We were having some kind of “doctrinal” dispute (I do not recall the issue) in my home congregation and a brother brought up a text from the “Old Testament.” The clearly was a contrary point of view of what most were taking in the congregation and the preacher, with the wave of a magic wand, dismissed the brother and the text with this statment: “that is the Old Testament.” That was it. He did not deal with the text. He dismissed the text. At 14 or 15 I could not articulate what was happening but the impression was this was not very important. In my first ministry in New Orleans I delivered a sermon on Genesis. I had a dear elderly (in her 70s) sister (one of God’s finest) confess she had never heard a sermon from Genesis. Now she may have not recalled correctly but she had not heard enough to make an impression. I have had experiences like this in Florida, New Orleans, Mississippi, Wisconsin, Arizona and dozens of churches around the country. Now unless there is a giant conspiracy there must be some kind of reality behind these shared memories and experience of people. Now I do not say that there has been a complete neglect of the Hebrew Bible. In my life I recall lessons Joseph as a model for teens. I recall studying Samuel in class as a kid. I also recall VBS stuff on Jonah or David. There have been character studies for sure. Not a lot from the pulpit but there have been. But I wonder if the that is the proper use of those texts in the first place. What I have not seen is the integration of the Hebrew Bible in out theology. Paul said it was good for “doctrine” and this seems to be the last thing we all it to do. I am honored to have you here and dialog with you. I am delighted to the nth degree that you are much further along than I was … not too long ago. You’re kind. Now that I think of it, I do remember an older gentleman making a comment that was disturbing about four years ago. I preached a series of sermons in the Minor Prophets. This man (who later became an elder) said he’d never heard preaching from them. Sad, very sad. If that is the norm, then I am glad to have been abnormal. Anyway, I am certain there have been a fair number of brethren with a good appreciation for both Testaments. I think sayings that I’ve heard all my life like, “The OT is Christ concealed & the NT is Christ revealed” speak of a high view of the OT among many of us. My father taught me as a small boy that I would never fully understand the NT until I learned the OT, so I am grateful. It is profitable for teaching, reproof, correction & training in righteousness. Anyway, Bobby, I appreciate your kindness but I do not believe I’m farther along than anyone past or present… just trying to do my best as you are, brother. Looking forward to seeing where you’re going with this. There is definately a shadow versus reality contrast between the O.T. and N.T. (book of Hebrews!) but even so, there’s no doubt that much of what you have said so far is true. In my humble opinion, I believe that a faith in God based solely on the NT alone is a weak faith at best and at worst, one desined to be shattered. In order to serve God we must know him and the OT is the vault where God has revealed himself. There is not a shadow vs. reality contrast between the 39 books of the Hebrew Scriptures and the 27 books of the Greek Scriptures. The contrast which the Hebrew writer highlights is between the old and new covenants. I do not believe the texts themselves are to be equated with the covenants. The old covenant was sealed long before the Hebrew Scriptures came into existence, and likewise the new covenant and the Greek Scriptures. This, I believe, is the danger that arises from the words Old Testament and New Testament. This terminology, which I still often use for the sake of brevity, has lent much credence to the false doctrine that the texts and the covenants are one and the same. Which same first? The poor exegesis of Col 2:14 or the equating of collections with covenants? That’s a question for the historians among us. PS – Thanks for stopping by Fumbling. Your encouragement is genuinely appreciated. Will chew on what you have said. Can we not say that the books of the “O.T.” reveal details about the old covenant to us (even though you are right that the terms old covenant and “O.T. books” aren’t synonymous)? You are correct that God had a covenant with his people long before the writings of the prophets who gave their commentary on it and Israel’s poor response to it. However, the prophets and poets fill in our understanding of it and without them, we couldn’t have a complete picture of it. So, could we not still say that the Old Testament books comment on and deal with the “shadowy” precepts (to use the terminology of Hebrews) of the old covenant? I want to understand where you, and probably Bobby are going with this. I meant what I said in your blog (which I will recommend to others). When I read your comments I realize how much someone like you has advanced in Christ overcoming obstacles, and at the same time I think I haven’t grown as much as I should considering all the advantages I have had. Your example motivates! I believe that there are many places in the Hebrew Scriptures where you are 100% correct, and others where the shadows are not being discussed. No matter how clear the OT writings are, they are a revelation waiting to be completed by the coming of the Son. That being said, I believe that the prophets and the psalms require the kind of deep and passionate reading that is so hard to foster among us. That kind of reading yields for us depths of faith and wisdom that cannot be had from scratching the surface. Also, from a certain point of view (perhaps a neglected one), this is a moot point. If we strive to understand how the 1st century writers look back through Jesus at their Bible, I am convinced that we will realize that there is nothing shadowy about the Hebrew Scriptures anymore. What we might call “taking passages out of context” the NT writers might call “seeing the Hebrew Scriptures in the light of the Son”. The full revelation in the Son did not make the earlier revelation obsolete. That part of it which was shadow has been fulfilled. In those places, the Jesus lens is opaque (we see HIS sacrifice instead of the repeated atoning sacrifice and sin offerings). In most of the other places, the Jesus lens is translucent. We see the older revelation, and the world around us, through Him. When I say that our temple is “intangible,” I guess I’m thinking of the entering of the Holy of Holies described in Hebrews. I can not touch anything nor see anything of the holy place, but I believe that it is real. As for our sacrifices, yes, Jesus’ sacrifice was very real, very physical. Yet the sacrifice of lips that confess Jesus’ name is certainly less physical (the lips are physical, but the confession is what makes it a sacrifice). Bobby, I fully agree with your statement that “There are differences for sure between “Old” and “NT” but they are often blown made into something the “NT” writers themselves do not suggest.” There have been abuses. We just have to be sure that our reaction to those abuses does not lead us to err in the opposite direction. Thanks Nick for the thoughts. I think I can agree with some of the broader statements you are making as long as texts like Col. 2, Heb. 8,2 Cor. 3; Rom. 7, etc. are taken into consideration. You mentioned a bad interpretation of Col. 2:14. That text seems pretty straightfoward to me right now, but I’ll see what comes out in the wash. Sometimes I think I have a handle on a text, and something comes up that blows what I thought out of the water. I think I’m like Tim on this line of thought that you and Bobby are putting forth here, cautiously waiting to see what develops. My only issue with faulty interpretation of Col 2:14 is when people blithely say that “the hand-writing of ordinances” is the whole OT, and so Col 2:14 means that any OT reference is automatically trumped by any NT reference in a discussion. I do not mean to suggest that you have ever thought this way. It is merely the mindset that is under discussion, and I am striving to learn how to show that it is not a Scriptural mindset in light of Paul’s great instruction to Timothy about the value of the Hebrew Scriptures. I believe that each passage you’ve suggested points to the fact that the obstacle presented by the law has been taken away by the sacrifice of Christ. I believe that the Israelites gave the same “sacrifice of lips” that we do. The sacrifice of lips has been offered to God since the days of the patriarchs. I don’t think its inclusion in the New Covenant sheds any light on the difference between the covenants, since every covenant between God and man has included such sacrifices. I think that what we have there is a better name to confess, not a more spiritual sacrifice. I disagree on the interpretation of the Holy of Holies. I believe that to be God’s presence, similar to what the Hebrew writer says about us approaching the throne. As for sacrifices, I’m not sure what more to say. Of course they offered sacrifices with their lips; Hosea 14:2 confirms that. But they also took real physical animals and killed them. Regularly. Often. Daily. We don’t do that! They offered grains and fruits and such. They performed cleansing rituals. They had one specific place on earth that was THE place to worship. There are physical aspects to our worship. But it is definitely LESS physical than theirs was, which was my original point. Part of the reason why I think the New Testament doesn’t use the verb “proskuneo” to refer to Christian worship, even though that was the most common word in the Septuagint. Thanks to all who have contributed greatly to the discussion here. Hopefully it will continue as we move to a better and deeper appreciation of the Hebrew Bible in forming Christian theology. On Col 2.14. My own undestanding of this text is that it does not refer to the Hebrew Bible either in part or the whole. Paul never (not even once) uses the word “nomos” (law) in Colossians. If he wanted to make a statement about the “OT” he certainly did not use a best word. Rather Paul uses a word that only occurs here in the entire NT: cheirograph. The word occurs in the papyri outside the NT in the sense of an IOU or canceled debt. Quite literally Paul says that Christ nailed the our “debt” to the cross … not the Hebrew Bible. That makes much better sense of those words that describe the “chierograph” as being “against us.” Paul never says that of the Hebrew Bible rather he describes the Torah as good, holy and spiritual. As for the “Holy of holies.” I believe the holies is wherever Jesus has decided to be. We talk about this at length in our book “A Gathered People.” Jesus is in the midst of his Gathered People. As for proskuneo not refering to Christian worship I think Tim is sadly mistaken. We have discussed this many times. Yeah, I kinda felt bad bringing that point out again, but I didn’t think Nick had had a chance to consider that. Actually, he wasn’t. Because he interpreted the OT literally rather than figuratively, he tended to agree EXACTLY with Jewish interpretation of the OT. And since he saw Jesus as the Chrestos of a Better God rather than the Christos or Messiah of the OT God, he once again was in perfect agreement with the Jews (i.e. that Jesus was NOT their Messiah). Marcion was, therefore, quite Jewish. He would have been better able to get along with Jews than his ‘orthodox’ opponents like Justin Martyr and Tertullian who insisted on a figurative interpretation of the OT, and therefore insisted that the Jews were all stupid rubes too moronic to understand their own Holy Book. In Marcion’s view, the Jews understood the OT correctly: Jesus wasn’t their Messiah, their Messiah was a warmongering figure, Isaiah 7 was about Mahershalalhashbaz rather than Jesus. Marcion, therefore, could have a much more respectful relationship with the Jews. Furthermore, Marcion said Moses was better than Yahweh in character because he pleaded with Yahweh not to destroy Israel when Yahweh purposed to do so. In other words, the Jews themselves could be seen as good people even though Yahweh was thought of as essentially evil. This is the reverse of ‘orthodoxy.’ In ‘orthodoxy’ Yahweh is good but the Jews are evil because they don’t believe Jesus is their Messiah. Who then is the real anti-semite? Now, Marcion even allowed that the Jewish Messiah was yet to come! He just was not a figure that Marcion would like, but he allowed the interpretation that he was a figure who really would come in accordance with the Jewish expectation. Not only so, but Marcion did not accuse the Jews of ‘killing the Lord.’ For in Marcion’s system, Yahweh himself killed him, as in John’s gospel when Jesus says to Pilate ‘you would have no power over me if not given you from above. Therefore he (i.e. the ruler of this world, the god of this world) that has delivered me to you has the greater sin.’ As also in Paul where ‘had the rulers of this age known he was the Lord of glory they would not have crucified him’ where the rulers of this age are interpreted as Yahweh and his archons (i.e. angels). The Jew is therefore blameless in Jesus death, according to Marcion, because it is their god that is guilty alone as having killed Jesus. And even this god is not killed in retaliation but merely forced to accept Jesus’ death as a purchase price to buy humanity from him. ‘Orthodoxy’ of the sort you believe in is more anti-semitic. Marcion had his own version of Paul’s epistles remember. His version did not contain the accusation of 1st Thessalonians 2:15 that the Jews “both killed the Lord Jesus, and their own prophets, and have persecuted us; and they please not God, and are contrary to all men.” This verse from the proto-orthodox (2nd century ‘Catholic’) editor truly is more anti-semitic than anything that Marcion is responsible for!